South Korea national football team head coach Paulo Bento and his assistants will check the performance of Europe-based players later this month, officials here said Tuesday. Bento and his assistant coaches went back to their homeland, Portugal, last week for a brief vacation after South Korea’s quarterfinal exit at the Asian Football Confederation (AFC) Asian Cup. 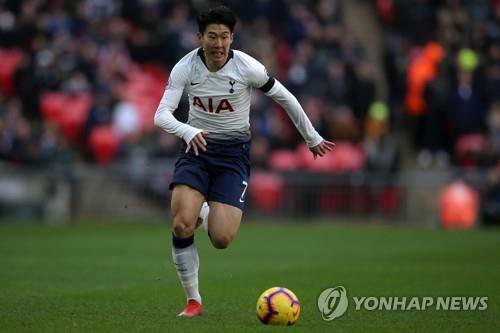 A Korea Football Association (KFA) official said before they come back to South Korea, Bento and his coaches will assess national players and check their performances with European clubs for future call ups. South Korea are scheduled to play friendly matches in March. With Ki Sung-yueng and Koo Ja-cheol having announced their international retirement after the Asian Cup, Bento will have to fill their spots on the national team. Bento and his coaches are first expected to see some of South Korea’s core players. Although it has not been confirmed who and what match they will watch, they are likely to visit Tottenham Hotspur star Son Heung-min. The national team captain has been in superb form since returning from the Asian Cup, scoring goals in three consecutive Premier League matches. In Germany, the coaches are expected to check FC Augsburg forward Ji Dong-won, Holstein Kiel attacker Lee Jae-sung and VfL Bochum midfielder Lee Chung-yong. If they travel to France, the coaches may watch two players who didn’t compete at the Asian Cup: Dijon midfielder Kwon Chang-hoon and Stade de Reims striker Suk Hyun-jun. Kwon missed the Asian Cup while rehabbing from his Achilles tendon injury, while Suk didn’t make the final roster despite having played well in earlier friendly matches. During their stay in Europe, the coaches are also expected to check prospects who have yet to make their senior national team debut. Lee Kang-in of Valencia, Paik Seung-ho of Girona and Jeong Woo-yeong of Bayern Munich are candidates. Spanish media already reported that Bento visited Mestalla Stadium on Sunday to see Lee’s performance against Real Sociedad, but didn’t manage to see the 17-year-old, as he failed to get off the bench.